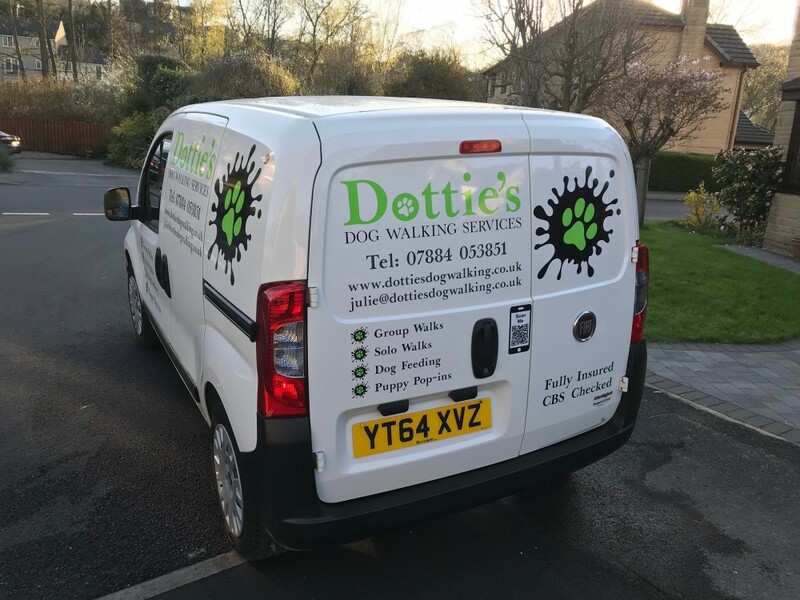 Dotties operates in and around the Sheffield area and we are proud to have established a reputation for being a professional and reliable dog walking and grooming service with a personal touch. We offer a range of services for dogs of all shapes and sizes! Get in touch with us today to see how we can meet the needs of both you and your dog. Dotties' dogs enjoy numerous places to walk, run and explore. I will walk your dog either on or off their lead, whichever you are most happy with. The safety, happiness and well being of your dog always comes first. I do pick ups and drop offs in my van that is equipped with crates for safety and blankets for comfort. I am a highly trained dog groomer focused on animal welfare and delivering the best possible service. My goal is to provide your dog with the highest quality dog grooming service in a safe and relaxing environment. I take the best possible care of your dog using top of the range products and equipment! I provide a day care service where I come to your home up to three times a day at times that you require. I will feed and walk your dog and ensure they are happy and comfortable. Each visit lasts 60 to 90 minutes and I always leave the house as I found it, there will be no muddy paws for you to come home to! Getting to know both you and your dog! A relaxed chat in your home about the services I provide is the best way for me to get to know both you and your dog and for you get to know me too! It is important to find out all about your dogs’ likes, dislikes and personality. This allows me to offer the best and most personalised service to you and your dog. We have established Dotties as a dog walking and grooming service with a personal touch. We are a family run business who have a love for dogs!